So I guess farming is now in vogue. Growing up I was embarrassed when I had to write “Farmer” under Father’s Occupation. I wished then I could write something more lucrative, like lawyer or doctor, businessman or banker. I guess that’s why I became a lawyer and then married a farmer. After I had my children, wholesome food became an obsession. Since we lived in the city, hours away from my husband’s (then only a flower) farm in Bukidnon, I had to rummage about markets and buy expensive organic produce. My farmer husband saw my weekly grocery receipt and went bonkers over the absurdity of buying expensive food we could grow ourselves. And so begun our venture into biodynamic vegetable farming. Fast forward to three years hence and I’m a (hopefully) healthier eater. It’s liberating when you know exactly where your food comes from. I think the best tasting food cannot be bought at any price. Of course the best tasting salad should of salad greens picked straight from your garden. (Here’s an article I wrote for our Farm Blog: Starting your own Kitchen Garden.) But living right by the farm or a having an edible kitchen is still a dream. And maybe one day we can have restaurants with lists on which farms supplied what, or grocery stores that tell you exactly where the butter was churned and from what milking cow. But until then, I am contented getting my food from our own farm in Bukidnon or getting produce from my trustworthy farmers (now friends.) Knowing where my food is from (well at least most of it) gives me some measure of control over the quality of food my family eats and what businesses I support. I rely a lot on my list of farms. They are the farms I would trust my children’s tummies with. ISIP is almost like a CSA. Reimon Gutierrez, our dear friend, got several farmer friends together in one market so consumers can have access to wholesome produce and buy it in one place. Greg Kitma: Has been growing biodynamic vegetables in Baguio for years and also holds biodynamic farming workshops. We’ve been to his farm too. Greg grows a lot of highland vegetables like carrots, yacon, cabbage and leeks. Kitchen Herbs: Gejo is also a friend and grows biodynamic herbs and specialty vegetables in Silang, Cavite. He has a great selection of herbs, sprouts, micro vegetables and salad greens. Prado Farms: This is Reimon’s own farm in Lubao, Pampanga. We have been there a few times (it’s not only a working farm, it’s also a destination. You can even arrange for lunch there.) He grows lowland vegetables (the kind you can assemble your Pinakbet with), herbs and some fruits. ISIP also offers biodynamic brown/red rice from Bios Dynamis managed by another friend, Betsy in Kidapawan, coconut sugar from Coco Natura and also free-range chicken and eggs. Weekly Deliveries can be arranged. Call Annabelle for inquiries at 09398828722. Our good friends Gippy and Hindy Tantoco own this lovely farm. You can visit the organic/biodynamic farm (and a Fun Farm for kids too) at Sta. Elena, Sta. Rosa Laguna. 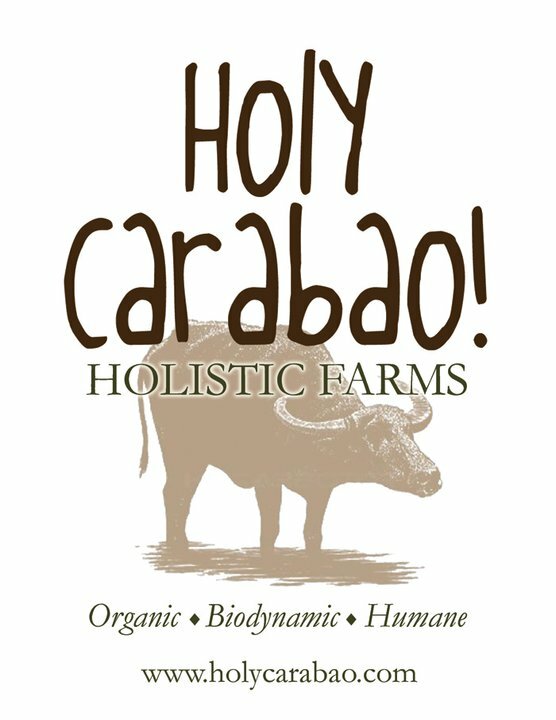 Holy Carabao sells lowland vegetables, herbs, and some fruits. They also sell biodynamic rice, milk, cheese, honey and fruit and vegetable juices. I get my hormone free Goat’s Milk (brand is Aussie) and Feta Cheese from them. Their Green Tea and Lemongrass Tea is also my wonderful substitute for the sugary Iced Teas we have in the supermarkets. We deliver Th-Sat if you order by Wed. Call 632-7528826 or 0922-8165147. We are also at the Salcedo and Legaspi Markets during the weekends. 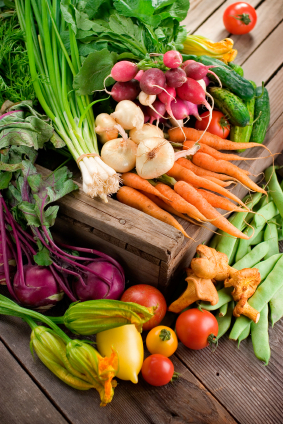 We grow biodynamic specialty vegetables, micro and baby vegetables, salad greens, herbs, sprouts, and edible flowers. You can get a weekly vegetable box too. Our bestsellers are our Mesclun Salad, french beans, baby Arugula and micro radishes. For a complete list see www.downtoearth.ph. Tina is a good friend. She and her husband Gerard have been raising free-range chicken (French breed) in Abra since 2000. They also have homemade pates. You can buy Pamora Chicken and free range eggs at MOM, Legaspi Market on Sundays. Prado Farms (above) also has organic/biodynamic Lechon. He also has Biodynamic Lechon. His pampered pigs feed on Arugula and only receive homeopathic medicine. I have tried the Lechon and it’s tasty and guilt-free, because you don’t even see the grease. You would have to order a few weeks in advance. 09209831329. If you go to the local butcher or market to buy beef, here are some tips: Grass Fed beef should be dark red in color (the brighter the red, the more chances the cow has been fed more grain.) The beef should also be smaller than imported/grain fed beef. Lastly, grass fed beef is always leaner than other meats. Make sure you don’t see a lot of marbling or fat. 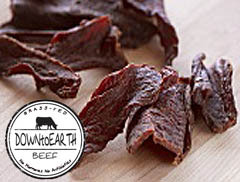 Beef in the supermarket or imported beef (unless labeled pasture-raised or grass fed) will most often be beef from cows that have been fed a majority of grain. For me, the best would be raw milk, butter and cheese from a grass-fed milking cow (PLUG: we might have these soon!) My next best thing would be Hormone Free Goat’s Milk and Kesong Puti from Holy Carabao. There’s also Rizal’s Dairy, one of the older companies that started organic farming way back in the 1990s. I have bought Peanut Butter, free range eggs and Yoghurt from them since 2006. You can also find them at the Salcedo Market on Saturdays. They also have a stall at the open air section of Market Market in Fort. I sincerely try not to buy products made of bleached white flour or refined sugar. Also, my husband won’t let me buy commercial cereal because he’s paranoid about GMO corn. But the best thing would really be to bake your own bread, cake or cookies (that I cannot do.) Healthy Options has a good offering of alternative baking ingredients (I buy the brand Bob’s Red Mill and use organic unbleached white flour though they say the best would be to use coconut flour, which I am yet to see.) They also have Baking Powder and Cornstarch. For the lazy ones, you can buy Muffin, Cookie, Pancakes and Brownie mixes. Healthy Options would also have a wide variety of choices for healthier snacks. As much as possible, we stay away from fortified or bleached white flour and corn. Try not to buy canned. Don’t buy vegetable oil. I use Palm oil and olive oil instead. No processed meats with additives. Stay away from anything with the label “high fructose corn syrup, dextrose or fructose” with soybean or corn (chances are they are genetically modified soy or corn), MSG (Use Braggs for soy sauce), aspartame, or with a lot of ingredients I cannot pronounce. So that’s almost my entire grocery list. Of course I would often stray (more often than I would like.) And then there’s always the binge, the relapse (especially when eating out) the comfort food, the parties and stress eating. But I tell myself, at least there’s the intention, and the striving. I try. Really, I do. Some good recipes for cooking can be found: Nourishing Traditions by Sally Fallon. A good friend who bakes also suggested Fannie Farmer Baking Book. A good resource on the state of our food: Omnivore’s Dilemma. lunatics… II mean Romantics pala! Yes. I’m really a romantic. Maybe hopeless. Loony sometimes. Haha! Thanks for sharing. I’m starting to change to a healthier, greener live style and this posts is a great start. May i reblog? My great pleasure. Thank you. And I’m happy that there’s more and more of “us” crazies. Have fun eating your way to a healthier life. What’s wrong with bangus and tilapia? wow! this is a comprehensive list. I will add this to my own list of sources in MM. Thanks for this, you have given me some good leads….. I just moved to Manila from Australia and it is crazy – I thought eating healthy at home was difficult, here it is just insane when you combine the addiction to white rice and meat, with the sugar loaded aisles at the supermarkets and the expensive price of fresh vegetables….. how no one in the government considers this a major health crisis is beyond my comprehension.